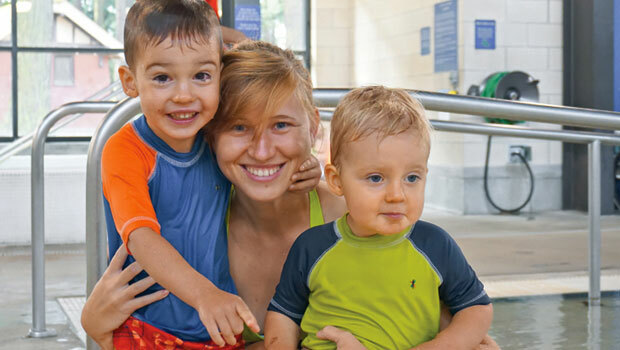 Martina B. from the Czech Republic is an au pair in New York, USA. As a caretaker, you can maximize safety and minimize risk by thinking proactively. Try to be aware of potential dangers in every situation. Safety should always be on your mind. Driving while under the influence of alcohol is a very serious crime. If you are caught driving while intoxicated, you will face legal consequences, and will very likely be required to return to your home country. Do not drink and drive under any circumstances. Talking on a cell phone while driving is never a good idea. When you are driving, you should be concentrating on safe driving, not on your conversation. Save the telephone call and texting for later. Make sure the children fasten their seatbelts, even on short trips; most accidents occur within 20 miles from home. Additionally, seatbelts are required by law - you may face legal consequences if the police pull you over and the children are not using seatbelts. Children under 12 years of age should never sit in the front seat. Lock the doors when the car is in motion. Child seat laws are different in every country. Find out what the local regulations are regarding child car seats, and follow the law: You may face legal consequences if you do not follow child safety seat rules. If your host family uses safety seats, make sure you understand how to operate them correctly. Don’t allow the children to stick their hands or heads out the windows. Never ever leave children alone in the car - even for a few minutes. Stay focused on your driving - if the children are getting too distracting by fighting or making too much noise, pull safely over to the side of the road and solve the problem. Drive carefully! You have precious cargo! Talk with your host family about where the children are allowed to ride their bikes and scooters. Children should not ride outside after dark. Make sure the children wear their helmets (a law in many places) and other protective gear. Discourage children from doing dangerous tricks and don’t let them give rides to other children on bicycle handlebars. Supervise the children skating and biking, especially if they are in or near the street. When cooking on the stove, turn pot handles in, so that young children can’t reach up and pull down a pot. Don’t leave your cooking unattended. If you are cooking and you need to leave the stove to go to another part of the house, turn the stove off until you get back. Know where the family keeps its fire extinguishers, and know how to use it. Do not attempt to put out a large fire with a fire extinguisher. Do not throw water on a grease fire - use flour instead. Don’t allow the children to play with or near the oven or microwave. 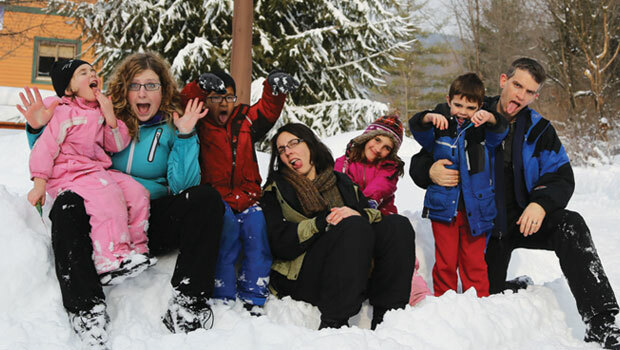 Dorota P. from Poland is an au pair in Oregon, USA. Never leave the child alone in or near an open pool. It only takes a minute to drown. Don’t let children rely on inflatable devices like rafts or water wings in the pool - they can leave the child in a dangerous situation if they deflate or float away from the child. Supervise younger children carefully when you bathe them. Young children can drown in only a few inches of water. Even older children can be very hurt from falls in the tub. If the phone rings or you have to leave the bathroom temporarily, take the children out of the tub. If you have a toddler in the house, remember to put the lid down on the toilet - toddlers can fall in and actually drown. Never leave the child unattended in the stroller or carriage - even for a minute. Never, ever push the stroller onto an escalator. Fold the stroller and carry the child. Always use the stroller’s restraint system. Never allow the child to stand in the stroller or carriage. Keep the child away from the stroller when folding and unfolding it. Little fingers can get hurt in the folding mechanism. Don’t hang bags on the stroller handles. This can make the stroller back-heavy, causing it to tip over. When answering the phone, don’t let the caller know that you are home alone unless you know who they are. Tell callers that the other adults in the house are unavailable, or that they cannot come to the phone, and take a message. If someone comes to the door and wants you to open the door, do not let them in the house unless you are sure who they are. Workers for the water, gas, and electric companies have official identification, and you should ask to see it. Delivery men with packages should wear a uniform with identification from the company they work for. Employees for these companies will also drive vehicles that clearly identify their company or business - look out the window and see if your visitor drives an appropriate vehicle. If someone you don’t know comes to the door and wants to use the telephone because it’s an emergency, offer to make the call for them. Don’t let them in the house if you don’t know who they are. Trust your instincts. If you don’t feel comfortable letting someone in the house, don’t! It is absolutely OK if you tell them to come back later.